You’re grown, maybe with a family of your own. You don’t live at home anymore and your mom is an empty nester. Gift giving can be challenging. What can you give your mom that she doesn’t already have? She doesn’t need anything. She can go out and buy whatever she wants because she’s done raising you. But it’s Christmas or some other gift giving occasion and you want to honor her with something. I’ve got you covered. 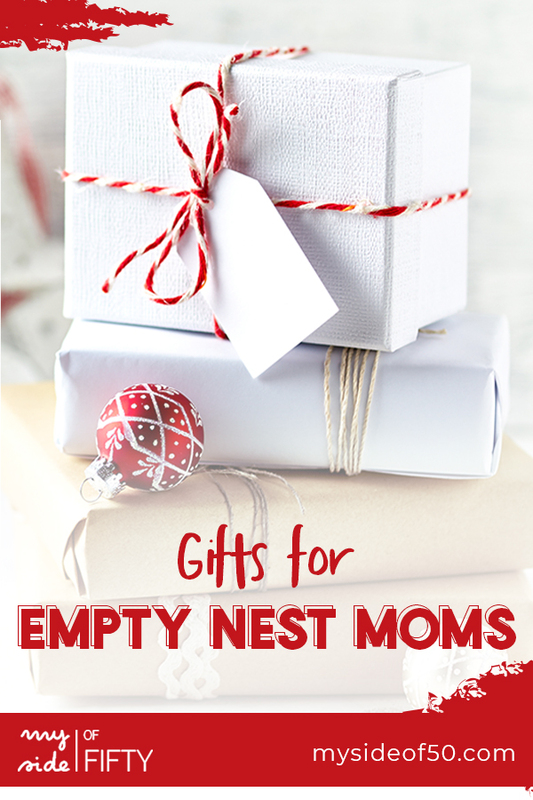 Check out these Gifts for Empty Nest Moms. This post contains affiliate links for your convenience. Soft Surroundings gifted me items from their store for this post. 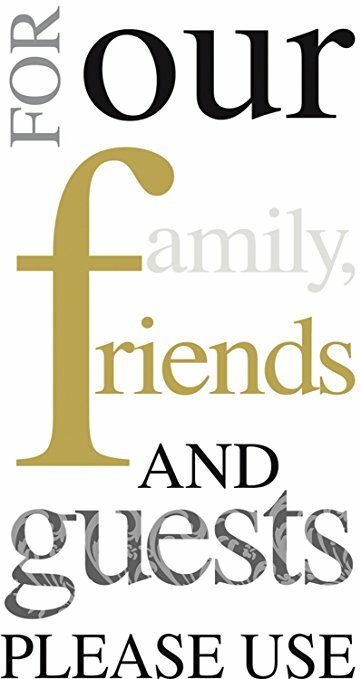 When I started doing the research for this post, I went to the best focus group of empty-nesters I know – the MySideof50 Facebook Group. Some in the group commented that they are down-sizing and don’t want THINGS! They want EXPERIENCES. And I would add that if they get to share that experience with YOU, that’s a big plus! 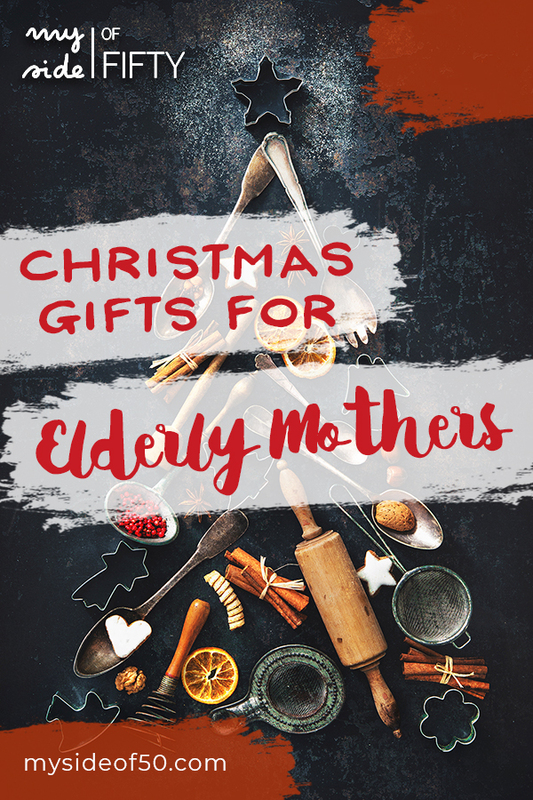 Empty Nest Christmas ideas in this category would include tickets to events like concerts, plays and sporting events. Is their favorite artist coming to town? What about that Broadway musical that’s on tour? 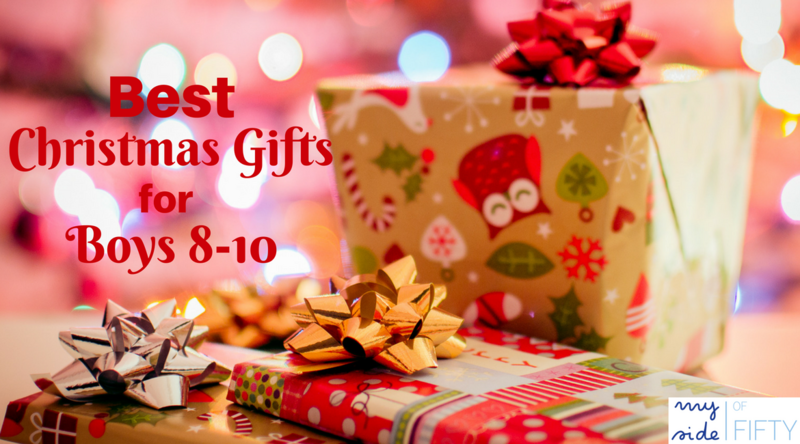 Present those tickets wrapped with a CD or iTunes Gift Card. Or for tickets to a sporting event, wrap those up with a jersey or stadium bag. Pampering experiences such as gift certificates for massages or facials are always welcome. Wrap the massage gift certificate with this super soft Hug Me Cardi from Soft Surroundings. I have this cardi and it’s my winter go-to loungewear for cold days. Gift cards for facials can be given with these products that will make her skin feel great BEYOND the facial…. Rodan and Fields Active Hydration Serum This oil-free serum delivers all-day hydration and boosts the performance of products layered on top. This is my must-have skincare product! Rodan and Fields ENHANCEMENTS Micro-Dermabrasion Paste – A micro-dermabrasion exfoliator for more vibrant and younger-looking skin. I use it on my face every other day. It can also be used on elbows, knees and other rough patches of skin. I bought this Travelpro Luggage Maxlite Expandable Suitcase for myself this year. It is roomy, lightweight and a great price. Also comes in lots of colors! Y’ALL! These packing cubes have changed my life. I received them as a birthday gift and am amazed at how much more I can fit in a suitcase AND have my clothes arrive UNWRINKLED when I use these packing cubes from eBags. I even have a tutorial on how to pack for a weekend with packing cubes! This tote from Fossil is the perfect for travel. I take it whenever I travel because it is sturdy and roomy. It hold everything I would normally carry in my purse plus my snacks, water bottle, iPad and Laptop. AND it still zips up! Does your Empty Nest Mom Like to Read? You can order a book by her favorite author on Amazon. Check out some of my favorite books here. Get her a membership to Kindle Unlimited where she can choose from thousands of titles to read for FREE each month. Do your Empty Nest Parents prefer to listen to audio books while they travel or exercise? Give them a subscription to Audible. 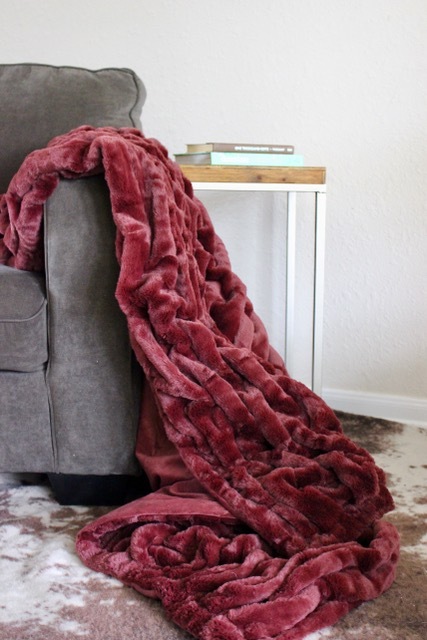 A beautiful throw like this La Parisienne Faux Fur Throw from Soft Surroundings. Soft, warm and luxurious, she will love this throw that comes in the most gorgeous colors. An Instant Pot Which is probably the most requested gift of the season. And while your at it, pick up an Instant Pot Cookbook so she’ll have lots of recipe ideas at her fingertips! 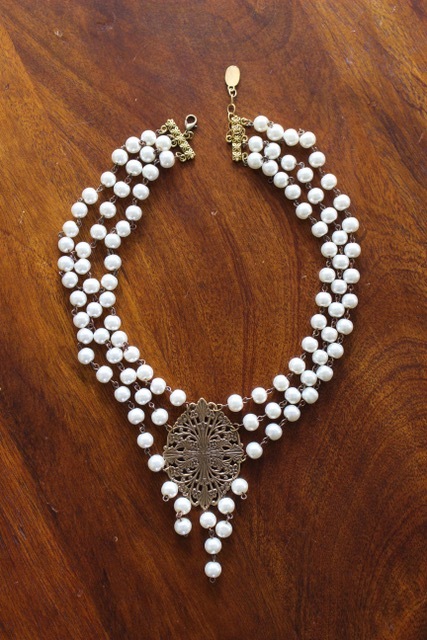 Mom would LOVE Briar Pearl Bib Necklace. I know because I LOVE mine and it goes with so many items in my wardrobe. So …. what did you choose for your Empty Nest Mom? 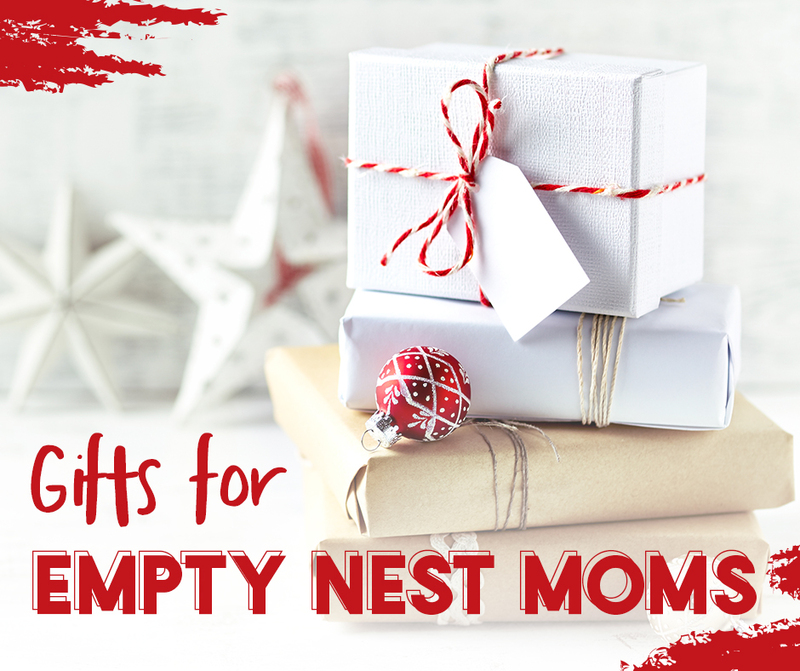 Empty Nest Moms – Which is your favorite? What would you add to this list? If you have a 4-8 year old little girl in your life, you have no doubt heard of the LOL Big Surprise. This is the little girl’s toy of the year, much like Polly Pockets were when my daughters were that age. My 4-year-old granddaughter is obsessed with them! She wants a new one every time we go to the store. So in honor of my sweet Madeline, I put together this post featuring gifts for YOUR LOL Surprise Lover. This post contains affiliate links for your convenience. If you make a purchase through one of these links, I will make a small commission at no extra cost to you. What is the LOL Big Surprise? It’s a large, glittery ball filled with 50 surprises. Little dolls, accessories, charms and other knick-knacks. The fun part is that each of these little surprises is wrapped in layers of paper and can take a while to unwrap to discover each surprise. 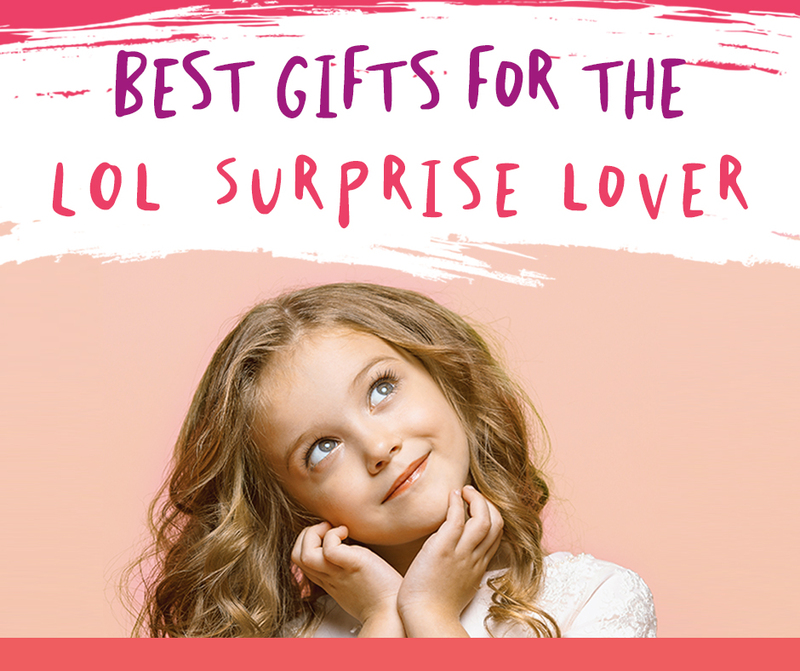 LOL Surprise Toys come in a variety of sizes and prices – from about $7 to up to $200. Crazy, right? But LOL Surprise merchandise is not limited just to the balls of surprises. Like any good marketer, they have taken advantage of little girl’s love of all things LOL Surprise and have created lots of other merchandise. Water bottles, duffles, sheets – you name it. This is the big one with 50 surprises! This is a much smaller, less expensive LOL Surprise! But it is still so fun. 7 layers of prizes and the ball becomes a purse, doll display or bath play set. Another of the smaller versions. With this one, you get to see if your Glam Glitter Doll cries, spits, tinkles or changes color. If you are tired of picking up the little LOL Surprises, get your LOL Surprise Lover this cute backpack. It doesn’t take long before those LOL Surprise toys totally overtake your house. This great storage container has 50 compartments. Plenty of room for all your surprises! This wooden, multi-story house has 85+ surprises, working elevator, lights and sounds across 3 floors, real pool, spa and sandbox. 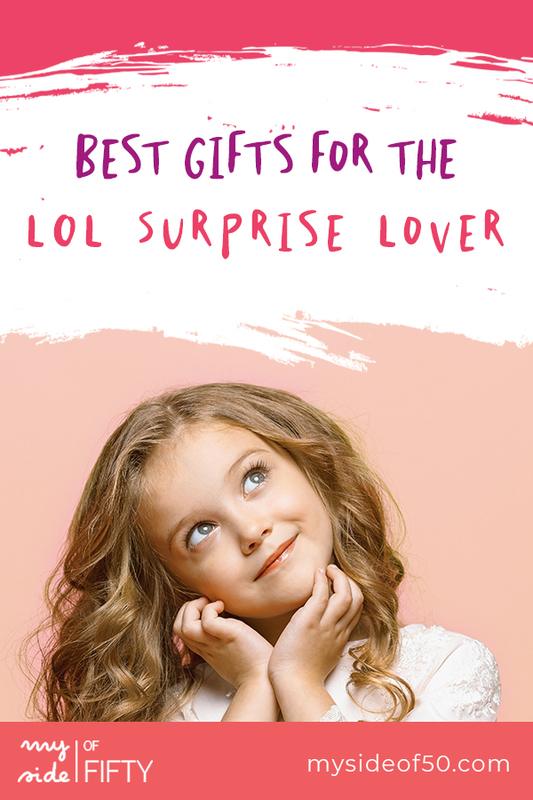 The ultimate gift for LOL Surprise Lovers! Don’t all little girls love a soft furry bag? Now you can decorate your room with LOL Surprise! If your girl likes LOL Surprise Toys, she probably likes stickers…lots of stickers..too! And to wrap it up, this handy LOL Surprise! Water Bottle. 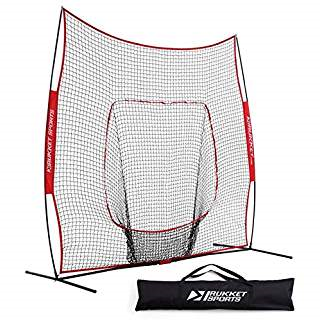 Perfect for sports, school or on the go! Do you have an LOL Surprise! Lover in your family? Remember when you bought your first home? You scraped up the money for the downpayment. Figured out how much you could swing on the monthly payment. Moved in and thought – you did it! You are homeowners! 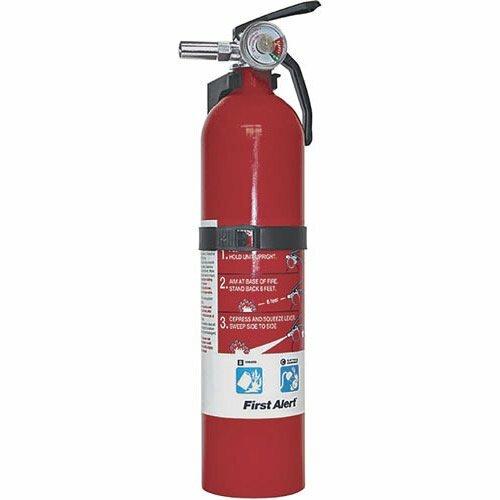 Only to realize that when you OWN a home, there are a lot of things that you need to maintain it. 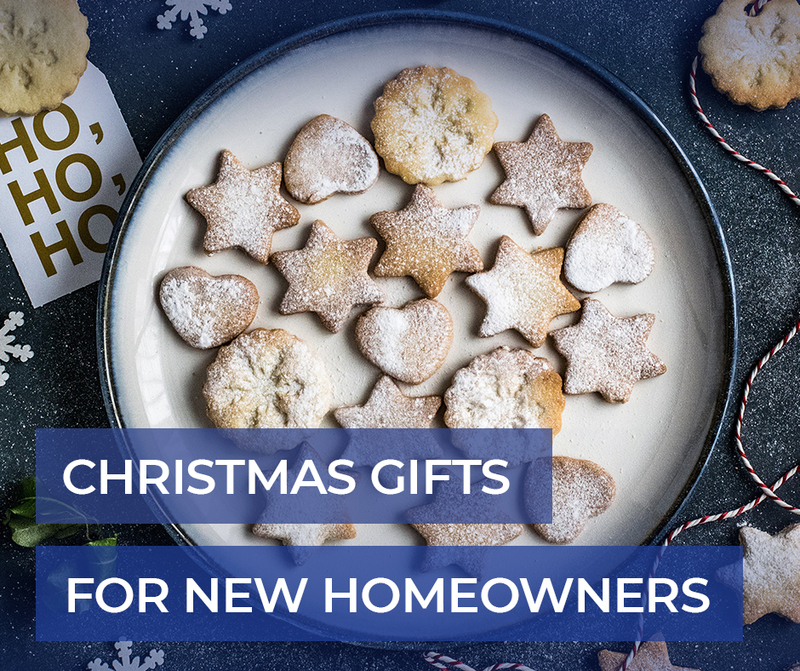 So with the help of my daughter and son-in-law, who recently bought their first home, I put together this list of the 10 Absolute Best Gifts for New Homeowners. This post contains some affiliate links for your convenience. If you purchase a product through my link, I may receive a small commission, at no extra cost to you. I so appreciate every click-through and purchase! Every little bit helps to keep My Side of 50 up and running! I remember moving into our first home. A brand-new ranch style home on a cul-de-sac sitting on a huge pie shaped lot. The only thing was, the builder only put grass in the front yard. That first Spring, we laid 9 pallets of sod in that huge backyard and spent the summer watering it and taking care of it so it would grow. 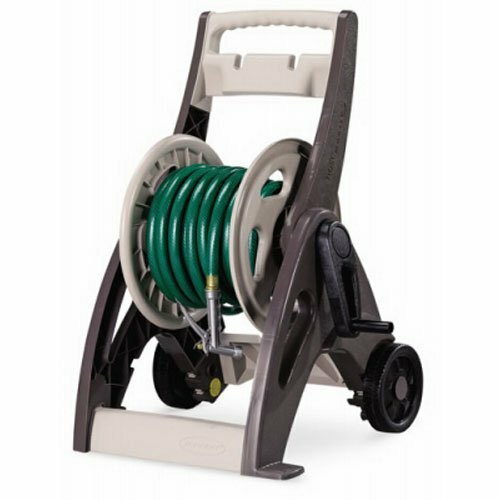 For most new homeowners, one of the first purchases they make are things to take care of their yard. When you own your own home, there is no calling the management company or landlord anytime something breaks. 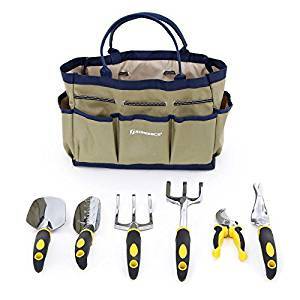 And unless you have an unlimited supply of funds, most homeowners will learn to do a least a few of the simple repairs themselves. 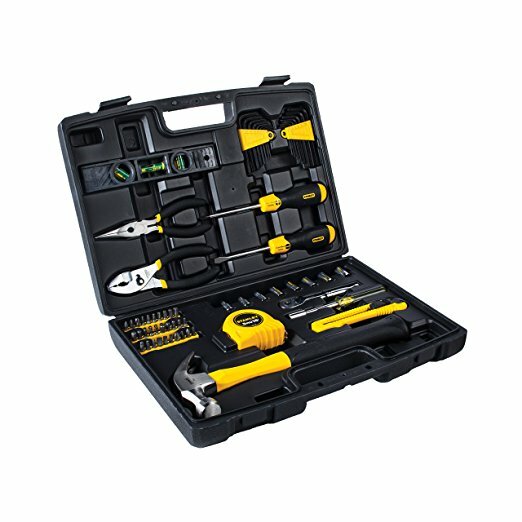 That requires tools, which can get quite pricey! 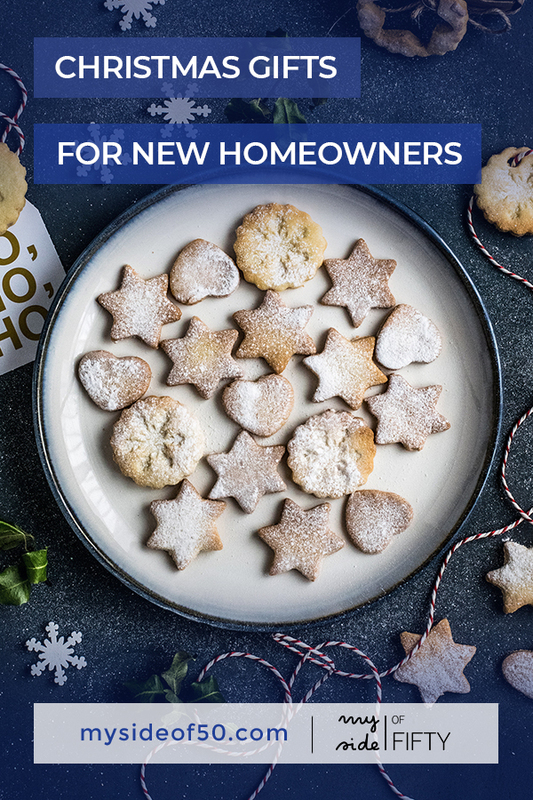 What would you put on the list of gifts for new homeowners? Let me know in the comments below! 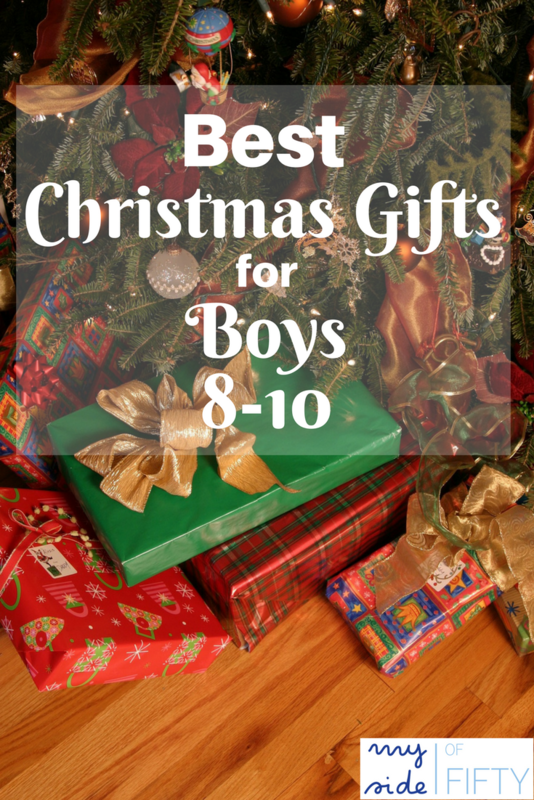 You may be wondering why a midlife blogger is putting together a gift guide for the Best Gifts for Boys Ages 8-10. I’ll tell you why. Since my daughter and two grandkids moved in with us, I have become an expert on this topic. Having my 9-year-old grandson, Parker in close proximity every day has allowed me to see what he likes and actually plays with. Parker is our first experience with boys. I was raised with just a sister and my husband and I raised two girls. Until Parker came along, I didn’t know ANYTHING about “boy stuff”. But I soon discovered how fun little boys are! Most of the things on this list are things that Parker actually has and loves. The others are things that he wants. 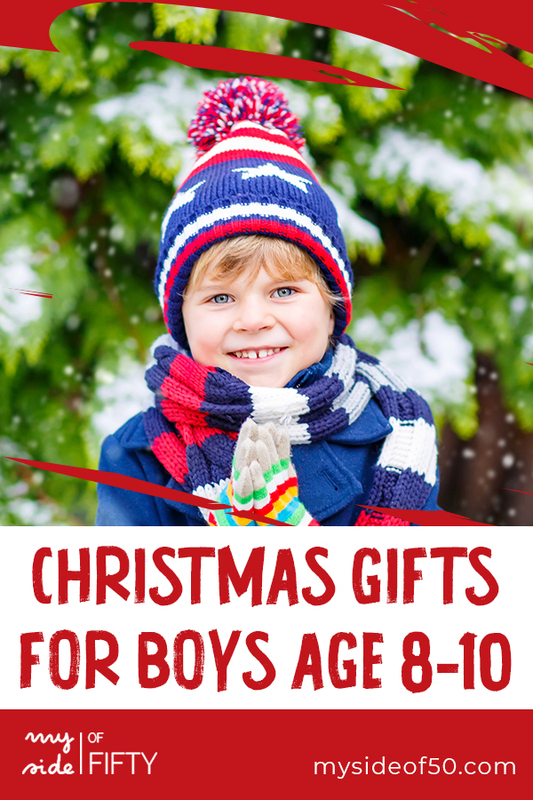 So in the event that you need a gift for an 8-10-year-old boy, I’ve got you covered. Parker LOVES sports, but his favorite is baseball. Playing it. Watching it. Talking about it. 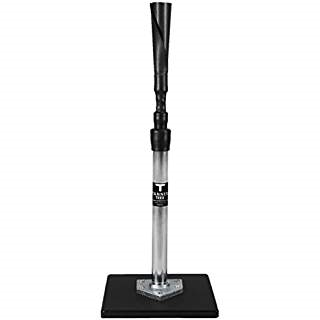 This Baseball Hitting Net and the Tanner Tee allow him to practice his hitting for hours while keeping the balls in the yard. 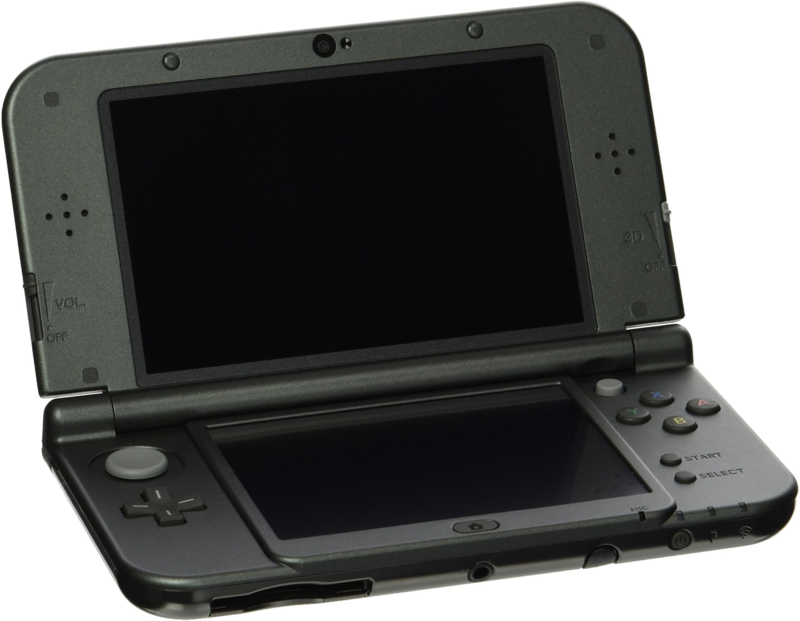 This portable video game system provides hours of entertainment and doesn’t require tying up the TV when other family members what to watch a show. 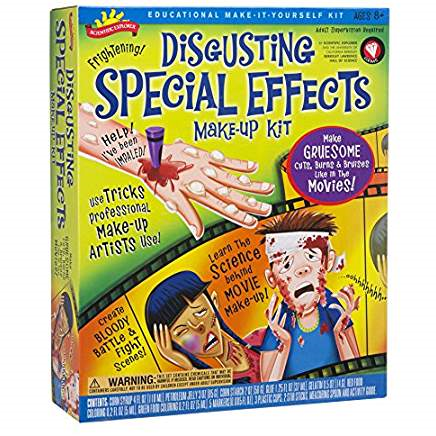 Disgusting Special Effects Makeup Kit – Learn the science and the art around things that makeup artists use to create fake blood, oozing blisters, bruises & scabby cuts. Gross, huh? Perfect for boys! 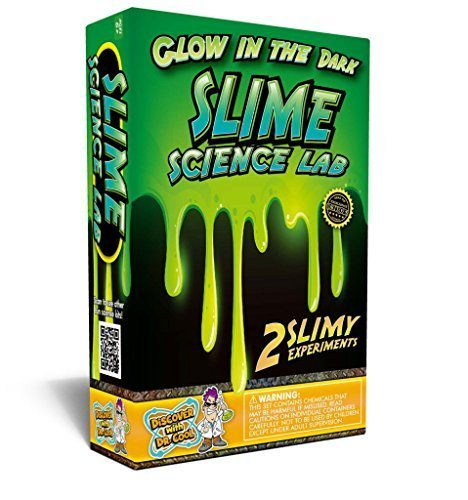 Glow in the Dark Slime Science Kit – Play & experiment with gooey glow in the dark slime that you make yourself. 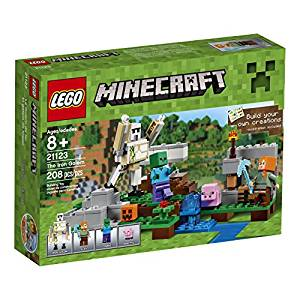 Lego Minecraft Sets – Perfect for fans of Minecraft who love to build with Legos. 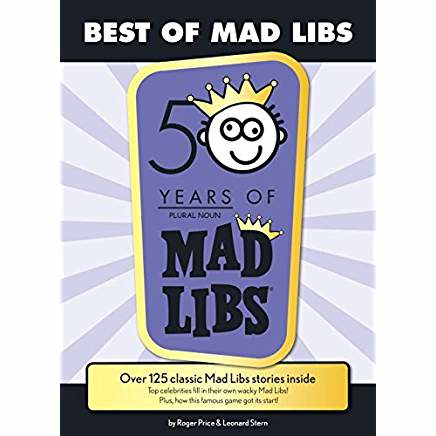 Mad Libs Junior – Hilarious stories as you fill in the blank with the designated parts of speech without knowing the context. 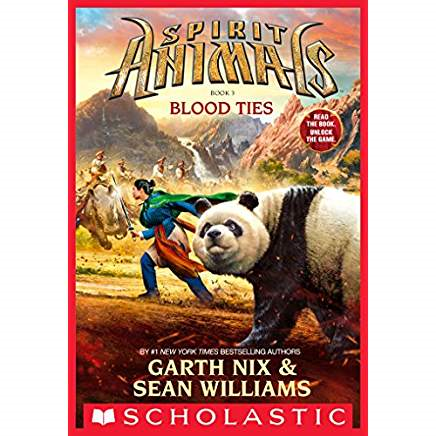 Spirit Animals – Action, adventure, and fantasy in this fast-paced series that boys love and get drawn into from the very beginning. Diary of a Wimpy Kid – A boy who keeps a diary? Yes- if his mother requires it! 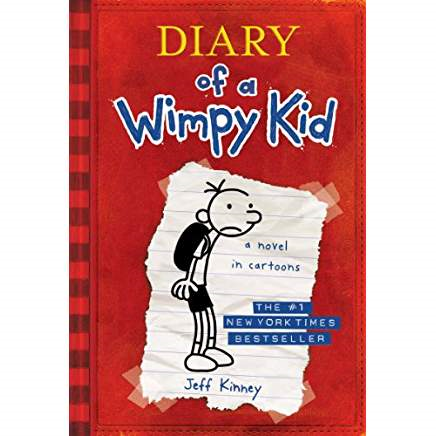 The hilarious daily account of middle school student Greg Heffley’s daily like in school told in his words and pictures. 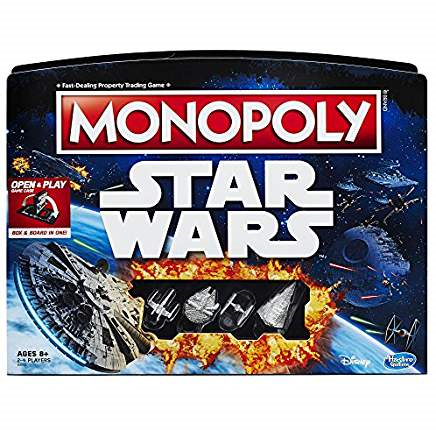 Star Wars Monopoly – Fun take on traditional Monopoly for Star Wars fans. 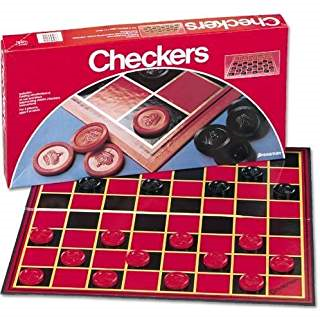 Checkers – In this world of high-tech and licensed character-driven games, kids still like to play the classics like Checkers! 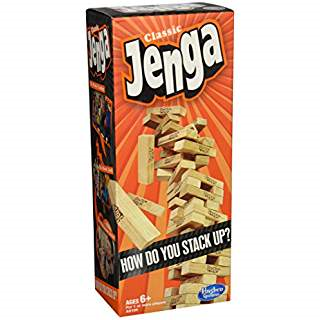 What were your favorite games and toys between the ages of 8 & 10? Mine were Barbies. Pin this for later – you never know when you might need it! 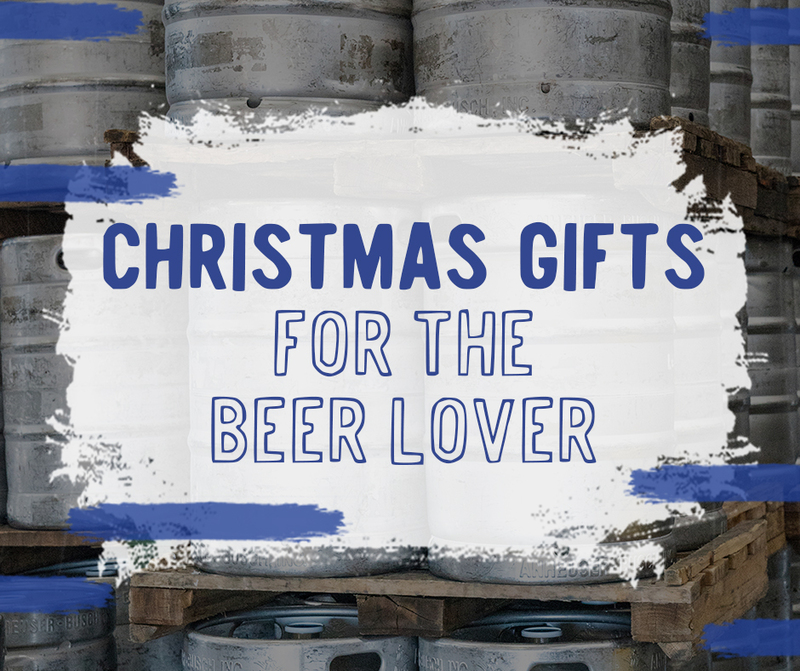 Gifts for the Beer Lover. I ran across a post like this last fall and it caught my eye because my son-in-law, Mike, is a beer lover. He loves trying different kinds of beers, visiting breweries, and enjoying flights of craft and local beers. 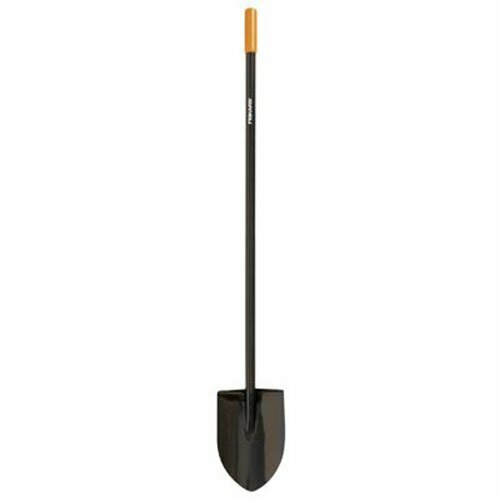 So for his birthday, I found the perfect gift for him. A membership into the Microbrewed Beer of the Month Club. I bought him a 2 month subscription – one month for his birthday and one month for Christmas. Each month, he received 3- 12 oz. bottles of 4 different beers. The beer was delicious and all the selections were new to him – beers that were unique and that he couldn’t find locally. In addition to the great tasting beer, he enjoyed the newsletter that came with his shipment that had tasting notes, beer specifications, brewery profiles, suggested food pairings, and more. Perfect for anyone who appreciates the craft of beer making. The Microbrewed Beer of the Month Club is totally customizable. You aren’t locked into a long subscription. You can order the number of shipments you want (minimum 2) or you can opt for an open-ended membership. 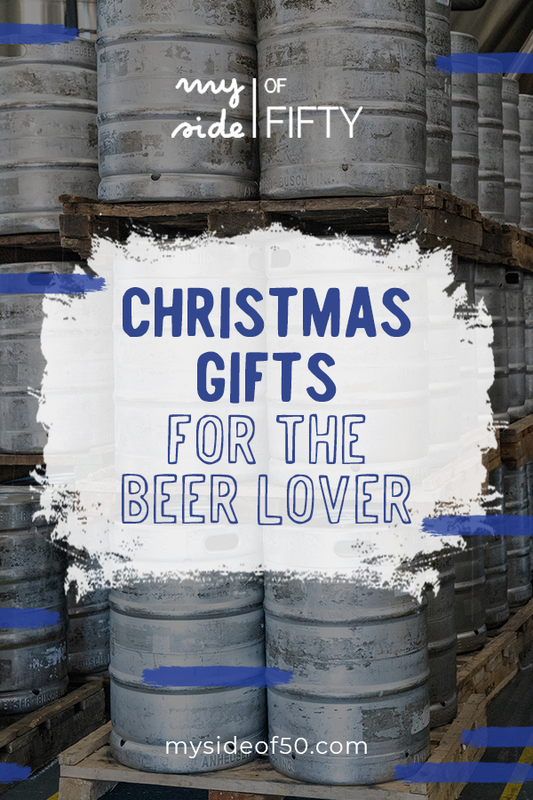 Need a gift for someone who’s not a beer lover? Monthly Clubs, also has monthly subscriptions for wine, cheese, chocolate, and cigars! Something for everybody! NCAA Texas Longhorns Bottle Opener Key Ring – Mike is a Texas Longhorn – but if you’re not, there are selections for lots of different schools. 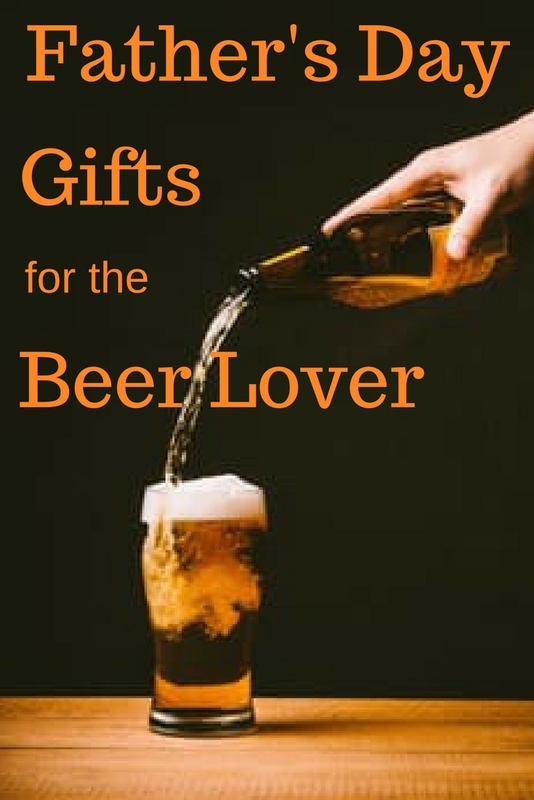 Do you have a beer lover in your family? Which of these items do you think they’d like? Like this post? Subscribe to My Side of 50. Get a weekly e-mail with all my blog posts PLUS special deals and bonuses for SUBSCRIBERS ONLY! Share on Facebook or Pin it on Pinterest! Social Shares help me grow this blog! Thanks! 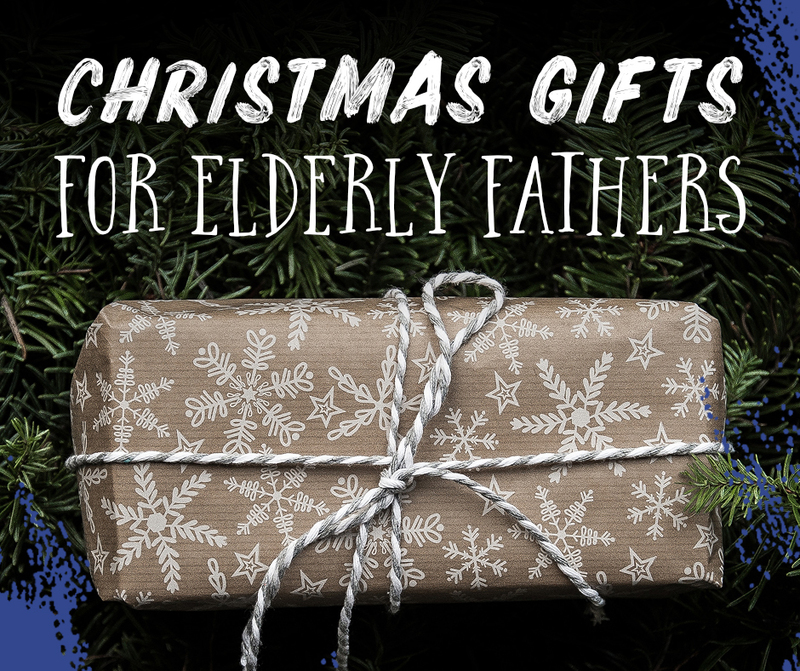 Choosing gifts for elderly fathers can be challenging. Most have downsized and have no need or desire for a lot of extra “stuff”. Those living in nursing homes or assisted living facilities have special requirements and needs. 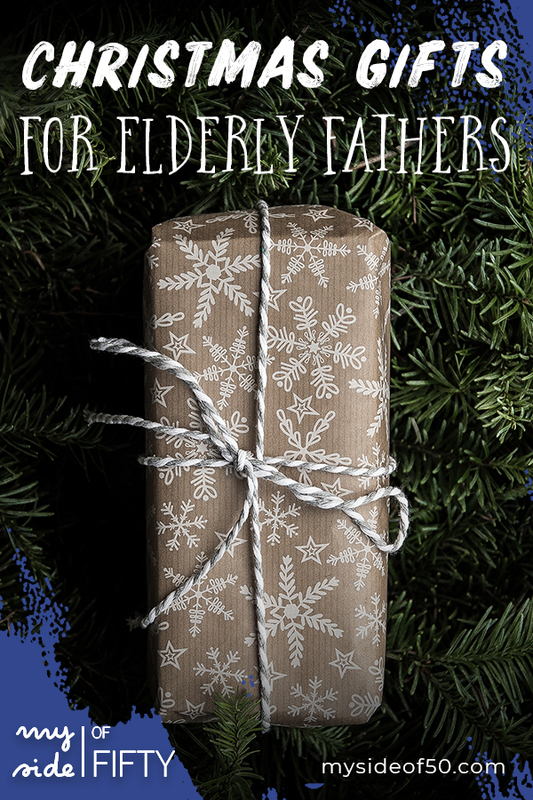 Here is my list of gifts for elderly fathers. Disclosure: Some of the items in this post are affiliate links. If you purchase any of these products through the links, I receive a small commission. There is no extra charge to you for purchasing through my affiliate links. Who doesn’t like to be surrounded by family pictures? But when you get to the age where you have children, grandchildren and then great-grandchildren, there isn’t room for all those framed pictures. NIX Advance – 12 inch Digital Photo & HD Video (720p) Frame with Motion Sensor & 8GB Memory – X12D holds lots of digital photos and videos. It also has a sensor that turns on and off when you enter and leave the room. Perfect for holding all the pictures of those they love! DayClox – The Original Memory Loss Digital Calendar Day Clock with Extra Large Non-Abbreviated Day & Month. Perfect for Seniors This clock/calendar combination clearly spells out the full day of the week, month and date with no abbreviations that can be confusing to seniors who suffer from memory loss. The display is large, bright, non-glare, clear and can be seen from across the room. 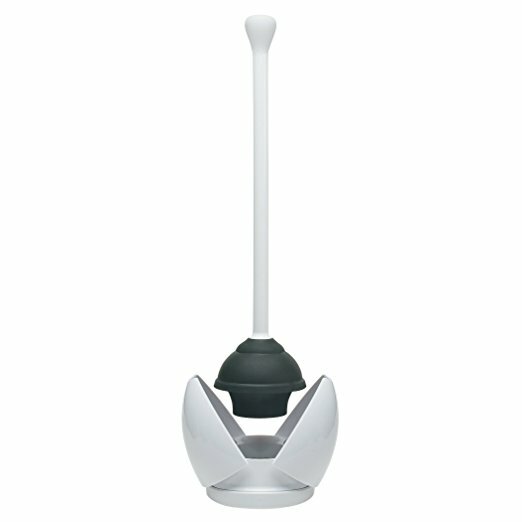 Backlit, easy to use, large buttons – perfect for people in assisted living. If Dad has trouble sleeping, consider the Big Red Rooster White Noise Machine – 6 natural and soothing sounds with on/off timer. The Hog Wild Peeramid Bookrest, Sage Green makes reading in bed easy and comfortable. Rest your book on the ledge for hands-free reading at the perfect angle. Fire HD Tablet with Alexa Hands-Free 10.1″ Display – When you get this for Dad, he will have a huge selection of books, movies, and games. With Alexa voice commands, all he has to do is say what he wants and it’s there. Amazon Echo is a great tool for seniors, especially those with dementia. The voice-activated Alexa answers questions like, what time is it, what’s the weather like and looks up information like “what’s on TV tonight”. Plays music and reads audible books. Tells fun jokes & riddles. Lots of features to keep the brain active. Pembrook Men’s Elastic Waist and Side Snap Twill Casual Pant – XL – Tan features 4 snaps on each side for easy on & off. 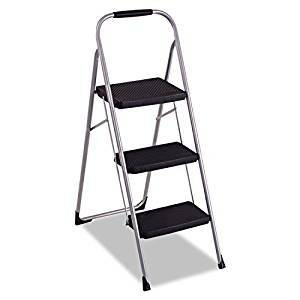 Perfect for men who need extra room or require assistance dressing. Machine wash & dry. Subscription to Audible to listen to audio books. Bicycle Large Print Playing Cards are easy to see and read. Playing cards – either solitaire or a game with others is one way to help keep the mind sharp. Gifts are great. A treat to show that you remembered your Dad. But the most important gift you can give is your time. Time to be together doing what Dad wants to do. Listening to his stories (even the ones you’ve heard a million times), going through old photos together, watching the game or enjoying his favorite meal. Treasure the time you have with your Dad now! 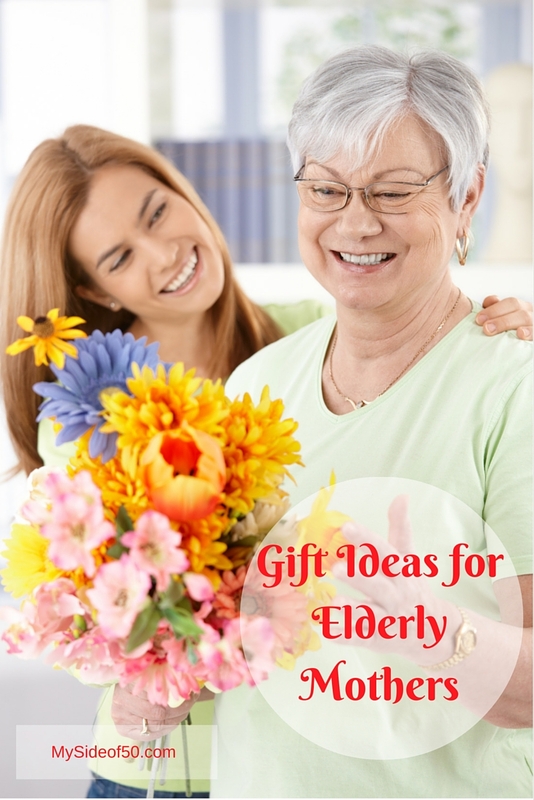 Picking out gifts for elderly moms can be tricky. Most have downsized and have no need or desire for a lot of extra “stuff”. Those living in nursing homes or assisted living facilities have special requirements and needs. 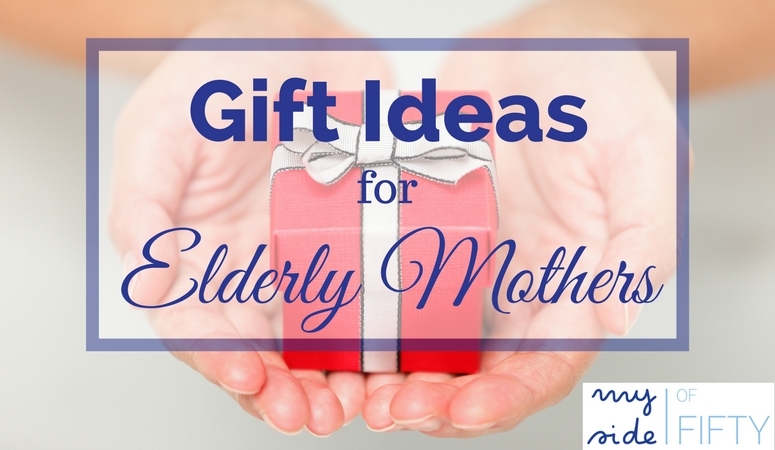 Here are a few gift suggestions for this special group of moms. Moms everywhere love family pictures. But when you get to the age where you have children, grandchildren and then great-grandchildren, there isn’t room for all those framed pictures. This digital photo frame holds lots of digital photos and videos. It also has a sensor that turns on and off when you enter and leave the room. Perfect for holding all the pictures of those they love! It’s hard to carry a purse when you walk with a walker. The RMS Tote for Walker, Rollator or Scooter has outside storage pockets for a phone and water bottles. Inside, there is a spot for her key ring and credit cards/id. Velcro closure. If you are in a wheelchair, you need a place for your stuff. A Wheelchair Back Bag is like a backpack for your wheelchair. Secure zipper closure and shoulder strap make it easy to transport to and from a wheelchair as needed. The Hog Wild Peeramid Bookrest makes reading in bed easy and comfortable. Rest your book on the ledge for hands-free reading at the perfect angle. If mom has trouble sleeping, consider the Big Red Rooster White Noise Machine . Six natural and soothing sounds with on/off timer. Fire HD Tablet with Alexa Hands-Free 10.1″ HD Display – When you get this for mom, she will have a huge selection of books, movies, and games. With Alexa voice commands, all she has to do is say what she wants and it’s there! Amazon Echo is a great tool for seniors, especially those with dementia. The voice-activated Alexa answers questions like, what time is it, what’s the weather like and looks up information like “what’s on TV tonight”. Plays music and reads audible books. Tells fun jokes & riddles. Lots of features to keep the brain active. See the full review here on how Alexa is great for seniors. Subscription to Audible to listen to audiobooks. Ableware 15″ Playing Card Holder for moms who have a hard time holding cards. Collections Fleece Wrap Shawl is super soft and features two large front pockets. Keep her feet warm with these Bed Buddy Warming Footies. Diet permitting, a box of good quality chocolates is always welcome! Godiva Chocolatier Classic Gold Ballotin, 19 Count, Net Wt 7.2 oz will do the trick. Just lift the lid – nothing to unwrap. Gifts are great. A treat to show that you remembered your Mom. But the most important gift you can give is your time. Time to be together doing what mom wants to do. Listening to her stories (even the ones you’ve heard a million times), going through old photos together, enjoying her favorite meal. Treasure the time you have with your Mom now!